"The Perfect Sleep Guide for Parents with Infants looking for gentle & modern approach sleep success & independence." This Sleep Survival guide is exactly what every first time or seasoned parent needs to know about Pre-Toddler Sleep in 8 easy steps! When you have a busy young toddler, the last thing you have the energy for is reading multiple sleep books trying to figure out how to help your baby sleep. 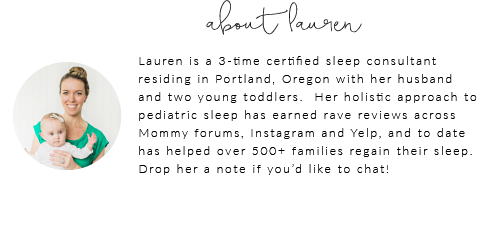 With 90+ pages of information that you won’t find together anywhere else, this is the ONLY child sleep information you’ll ever need to read. This “loaded” guide is packed with amazing modern sleep secrets and EASY tactics previously only shared with full-time clients, and will set you up to have sleep success long past the 24+ month mark by assisting you in gently creating desirable sleep habits. DOWNLOAD NOW- don’t wait until your baby is 2+ years old and still not sleeping; this is the BEST age to begin! You will wish you had this from the beginning! For ages 12 months through 24 months old.